Kim Moore is a psychic and medium located in the Denver/Metro area. 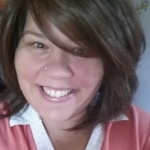 Kim connects with spirit guides to find stuck places in your life and channels messages from spirit to help you get 'unstuck'. She also connects with loved ones on the other side to provide validation that they are still with you. She also offers a variety of other services that can be found on her website. Kim cam to our Assisted Living facility! She was amazing. The residents all loved her and was able to understand her with her clear voice. She was spot on with all the readings in the room. Fantastic. We will definitely be having her back. I've lost count how many times I've sat with Kim, each time is amazing. She's point on, clarifing what I already knew as well as bringing forth well said messages from my relatives that I needed to hear and maybe just didn't realize it. If you truly want to connect with one who has passed or get guidance on yourself, she is the best I know of. You won't be disappointed when you sit with her! Kim is the real deal. I've done two readings with her and sat in on one she did for my husband. Her ability to connect with loved ones in the spirit world was invaluable to me--extremely comforting and exceptionally accurate. No fishing around for answers or input from me. She is kind, welcoming and I highly recommend her for both connecting with loved ones in the spirit world and also seeking guidance from spirit guides with day-to-day concerns. I have met with Kim for two readings. She was very accurate regarding details of my husbands passing and I felt he was there telling her what I needed to know and some things I knew already that she confirmed. The readings have given me a great sense of peace. I have met with Kim 2 times now. I haven't had the experience of seeing anyone else to compare, but have to say in both sessions she was spot on with very specific personality details and events only i or my family would have known. The messages both times spoke to exactly what my heart needed, to hear. It was perfect and beautiful and priceless... I would love nothing more than to be able to do this for others, what an amazing gift to be able to share.